In your ongoing effort to improve as an employee, one of the most important skills you need to develop is effective time management. This is true no matter what you do for a living. You might be a politician or a custodian; a writer or an electrician. In absolutely any line of work, the best people tend to be those who use their limited time as efficiently as possible. After all, we all have to deal with time constraints, no matter how much talent or motivation we have. If you're currently struggling with the concept of managing your work time, how can you do better? So if you're currently struggling with the concept of managing your work time, how can you do better? It's true that being efficient is a talent some are born with and others aren't, but at the margins, there are changes you can make to the way you work that will help. Below is a look at a few ideas that might work for you. Like so many other aspects of your professional growth, time management is much easier to improve upon if you know how to be goal-oriented. 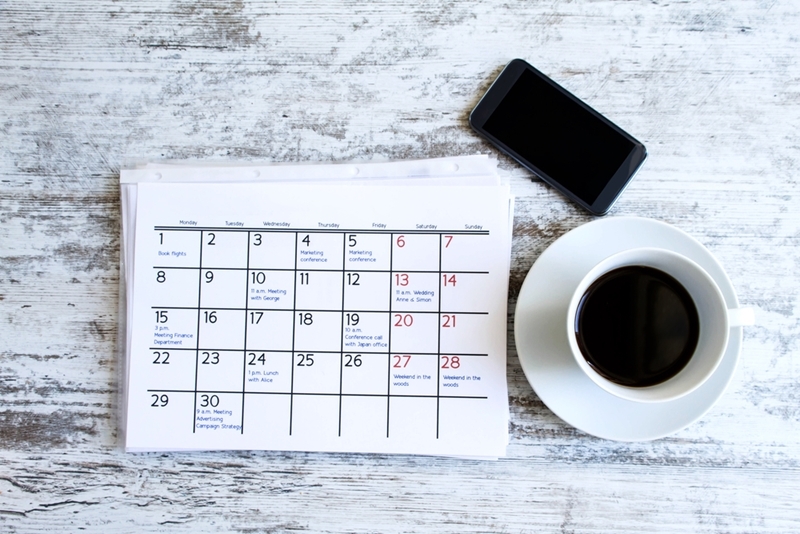 According to the Queensland State Government, this is the most important part of scheduling your days at work – you need to have realistic, achievable goals that you'll be motivated to live up to. Once you've set goals, you also must be able to rank them in terms of how highly you prioritise them. When you begin each day at the office, ask yourself – which tasks do you absolutely need to get done today, and which ones can wait until tomorrow, or maybe the end of the week? If you have your list in order, it's easier to knock the items out one by one. The final step is to schedule. Figure out how many tasks you can tackle each day, then set out to tackle them. If necessary, break each task down into smaller subtasks and figure out how much time you need to allot for hacking through each one of them. The dirty little secret about planning out your schedule is that it doesn't work. At least not exactly the way you draw it up, anyway. You might set aside two hours for completing a given project, but it's likely to take longer than that. People may interrupt you, or unexpected challenges may pop up in the course of the task you're completing. Set a schedule and stick to it as well as you can. This is why Entrepreneur Magazine recommends setting aside additional time for things besides the actual tasks at hand. If you expect distractions in advance, you don't want to be so stressed out or time-pressured when they come along. This all fits into a broader theme that's often touched upon in development courses about time management – the idea that, when you set a plan for doing something, you often dedicate a significant amount of time to other elements besides the thing itself. You end up spending many hours on planning, scheduling, note-taking and just plain thinking. All of the above are important, and you can't neglect them as part of your overall strategy. It might seem counterintuitive to spend time in order to learn how to save time, but in actuality this is a fundamental part of your personal development. If you put in the effort to learn better time management skills now, those lessons will benefit you for your entire life. That's more than a fair tradeoff. At Implement Online, we are proud to offer courses that will help you develop your many skills, including time management and others. We have a highly regarded team of consultants and coaches who are more than ready to help get you up to speed.